Great tones, really like it. 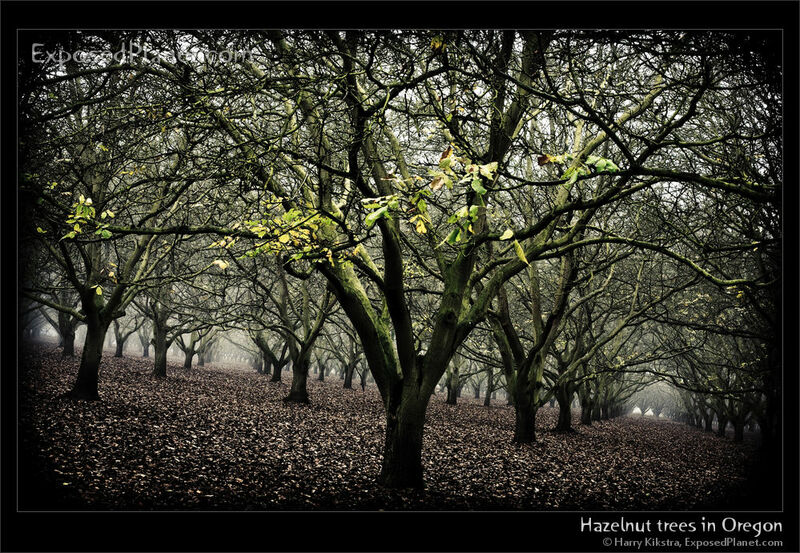 The story behind "Hazelnut trees in fall in Oregon"
There are a lot of hazelnut trees in the USA state of Oregon, it is even the ‘official state nut’, (which would be the best job title, ever!). Not strange, as Oregon produces about 99% of all hazelnuts in the USA. Still Turkey is the world’s largest producer.